Shortly before Caroline was born, we got a Roku box so we could watch Netflix on our TV. I initially got it for me (and my babymoon), but we didn’t have it very long before I realized what a plethora of children’s shows they have on there. Savannah loves it, and knows how to navigate and work the Roku box completely by herself without help from me. She generally gets to watch TV for a bit in the late afternoon when I’m trying to get dinner ready, and we’re all starting to get tired and wishing Daddy was home. I also totally use TV as babysitter when I have a migraine and need to lay down. Here is her list of the best Netflix has to offer, in alphabetical order (only because that’s how WordPress placed them into the blog post). 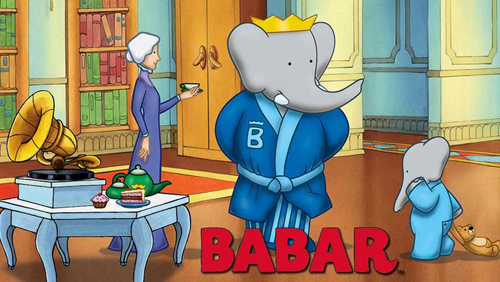 Savannah loves animals, so it’s not really surprising that she took to Babar immediately. She loves this show (produced from 1989-1991, with a random weird season produced in 2000). She also enjoys the two Babar movies that Netflix has to offer (1989 and 1999). This show has no plot, really. But, it’s cute. The idea is to get kids up and moving around while watching TV. The first time I watched it, I scoffed at its shallowness and predictability, but it totally worked. Savannah totally runs in place and jumps around, pretends to get keys and go through doors. I will even use the concepts when we’re out and I need to distract her – “Get the key, Savannah! Jump!” It totally works to calm her down and help her focus her energy on something specific. 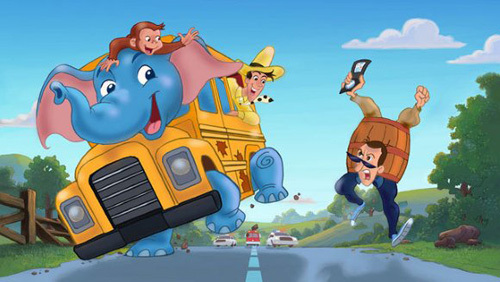 I love the Curious George TV show. It’s so interesting and educational. This movie is sweet, and Savannah loves it. It also features and elephant, which is currently her favorite animal. This is our current favorite. 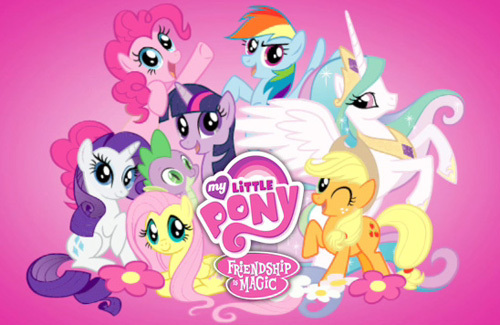 This is the newest generation of My Little Pony, and Savannah is HOOKED. She loves it, which surprises me because she’s totally not into girly stuff. I guess it’s because ponies are animals? I must admit, I really enjoy this show too and would have TOTALLY been into it when I was little. 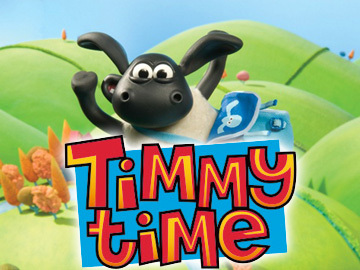 Shaun and Timmy are produced by the same person/company – the latter is aimed at preschoolers. 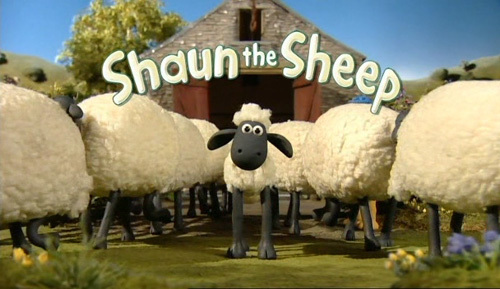 They are British claymation-looking sheep and the episodes don’t generally have any dialogue. I really enjoy them (moreso Shaun, but Savannah prefers Timmy). We don’t have netflix, so all of E’s TV watching comes from pbskids.org and my moms house… His #1 favorite is Daniel Tiger’s Neighborhood, with Dora and Curious George a close second. Daniel Tiger’s first episiode aired in October, I think- so, very new. It’s a Mr Rogers spin-off, actually! The show’s so new there’s no “licensed merchandise” for it yet, which made pulling off a Daniel Tiger birthday party a challenge, but we did it! 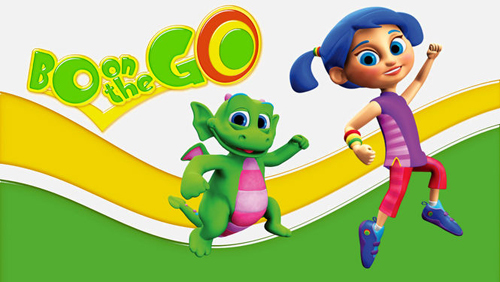 I will have to check out Bo on the Go. That would be good for Joshua to get his wiggles out.